Happy Tool Time everyone. 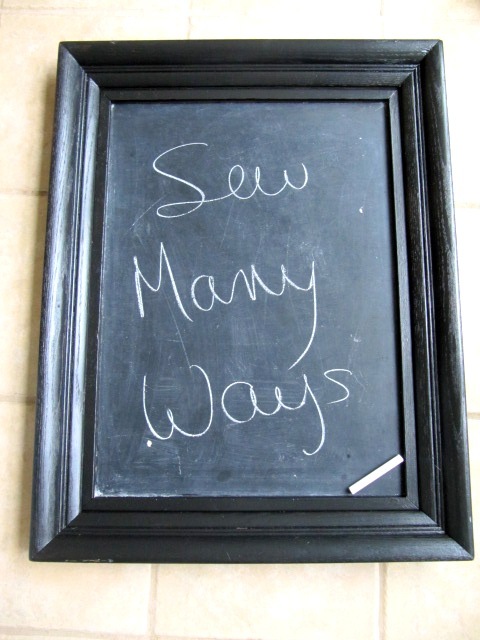 You all know that Tool Time can be just about anything...things from hardware store turned into something fun and useful, recycled things from, well, the trash really, or Tool Time can be things around the house ready to go to Goodwill and then it gets a second life with a little help. 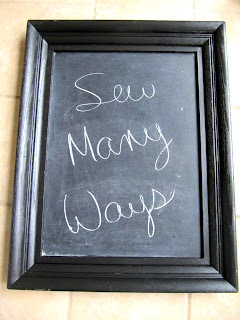 Here is a chalkboard that is going into my sewing room re-do and I wanted to share it with you. An old frame with an opening of 18x24 inches and my daughters' chalkboard from when they were little. 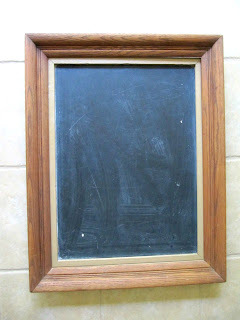 The chalkboard is one of those things that you just keep around, because of all the memories of the 2 of them playing school with it!! 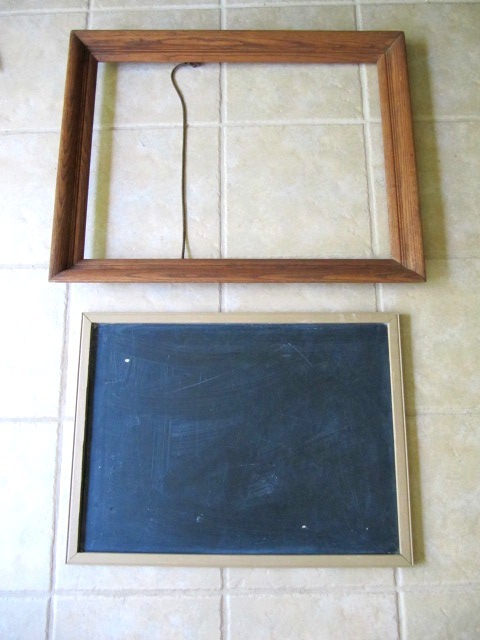 Fortunately for me, the wood frame of the chalkboard fit into the inside lip of the frame. Looks cute, but you know me and my black paint...nothing escapes me! 2 quick coats on each...didn't prime it or anything. Just went for it. 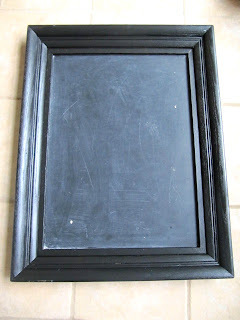 Here is the frame of the chalkboard...adds dimension to the frame. Now to connect them. The frame of the chalkboard is thick, so it sticks up above the edge of the back of the frame. 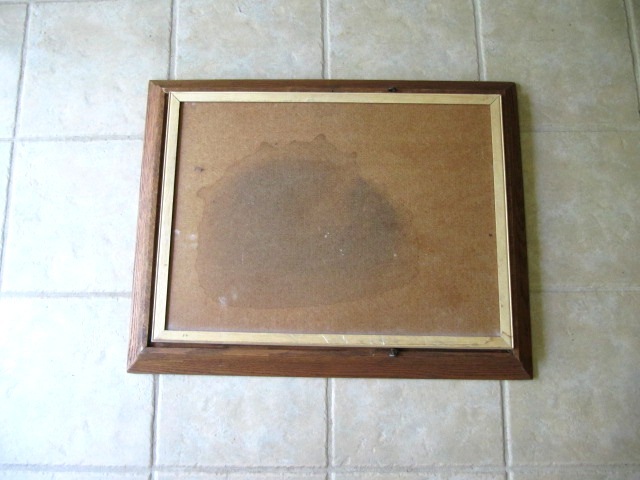 I couldn't tack it in like a normal picture. Tool Time to the rescue...metal strapping. 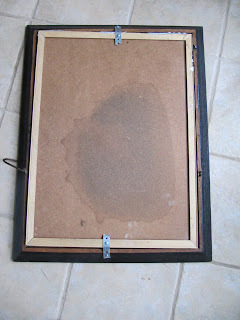 It bends to the shape of the frames to secure them together. The holes are perfect for screws. What is it? Who knows...it's some kind of metal strapping. 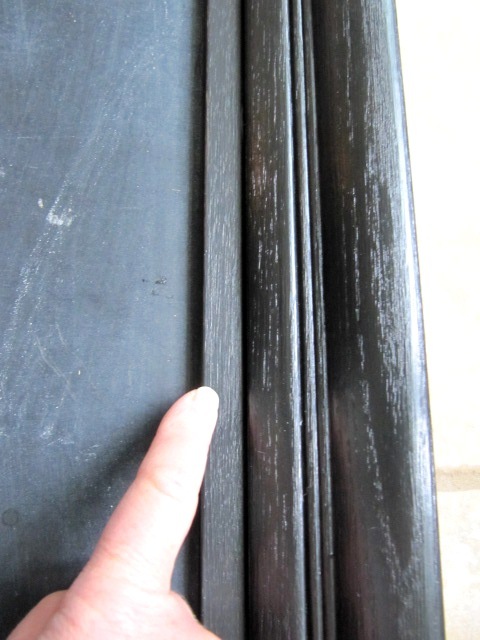 "I can't find that coiled metal strapping that I've been looking for...do you know where that is? Sounds like you know your stuff, but you just can't find it. Lol !! 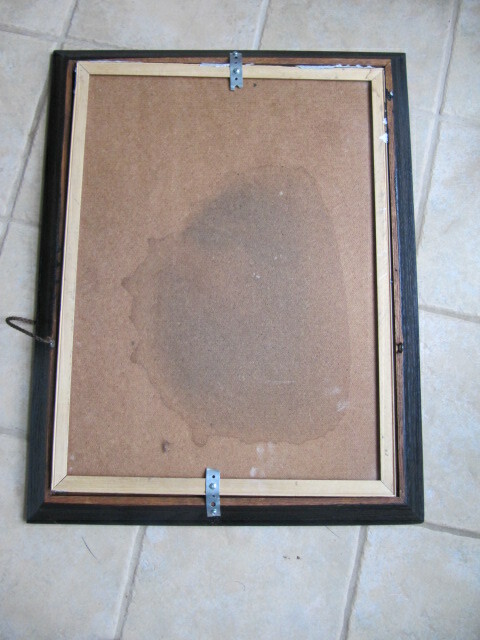 Here's the finished frame...perfect for a kitchen or office. 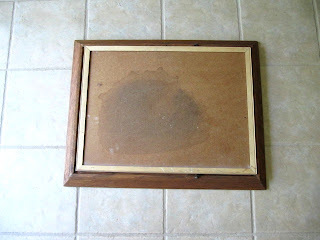 The frame gives it more substance. 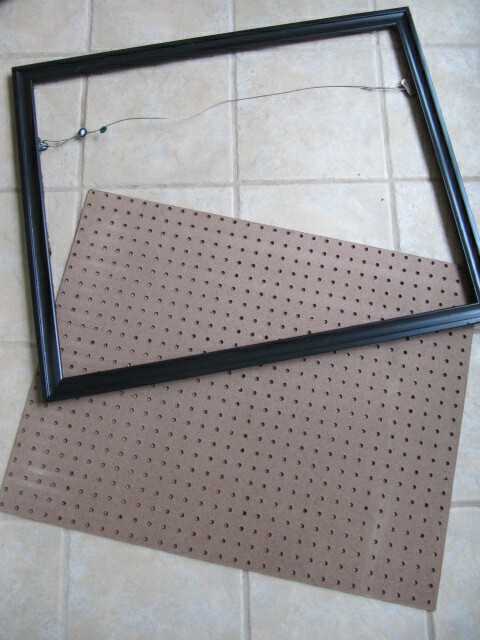 Next project in the works...peg board!! That is a great idea Karen. Love your ideas - you are so clever at simple things that seem so obvious when I see them.........but they never are to me until someone else shows their brilliance, lol. Well done - you are a wonderful inspiration. this is a great idea. The new frame with the chalkboard looks fantastic. 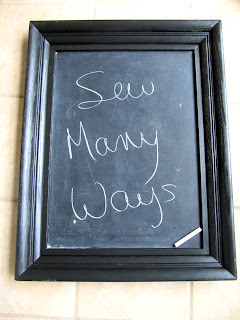 I love chalkboards; great idea. 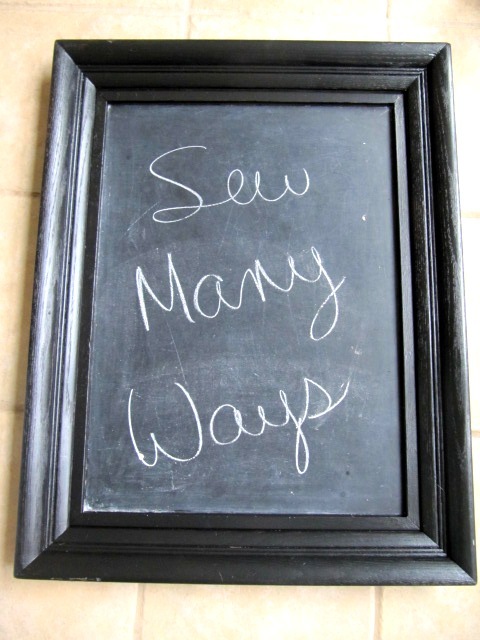 I have chalkboard fabric.....what to do with it. Awesome! Gonna do that and love the pegboard idea coming up! !! Great!!! I like it. I just wanted to say that I love your Tool Time Tuesday posts! I always learn so much. Thank you!!! Woo Hoo! I can't wait for Tuesdays! 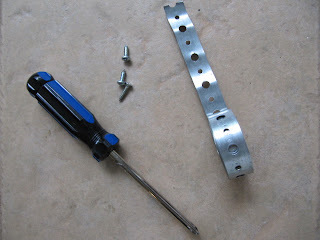 The part about the metal strapping cracked me up, haha! 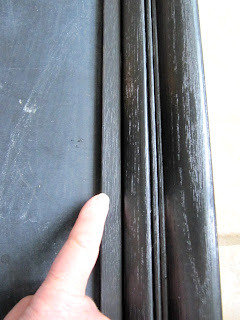 I know buying steel strapping from a hardware store can be a bit daunting because they come in different sizes and thicknesses, but there will always be a capable salesperson there to help you. 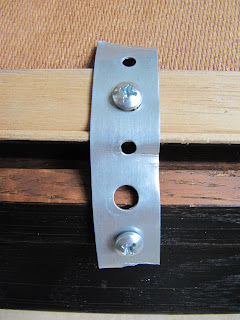 All you need to do is tell him or her that you need metal strapping, and when they ask what you need it for, just tell them it’s for a crafts project. They’ll recommend the more malleable and narrower metal strapping. It’s best to let them know what kind of project it is, though, because there are steel straps that are used to secure things for shipping purposes, and I don’t think those are the ones you need for projects like these! 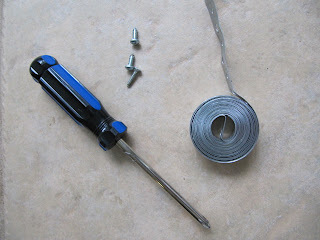 Oh my, I’m laughing at your tip on how to buy metal strapping at the hardware store. Haha! But anyway, if you know someone who loves to work with power tools and heavy duty materials, I bet you can ask them to give you metal straps. And yes, I just love how you made this project!